Dundee researchers say innovative fabrics can be used to promote inclusion and interaction. Two design students are hoping to combat loneliness and help people living with dementia through the use of smart fabrics. 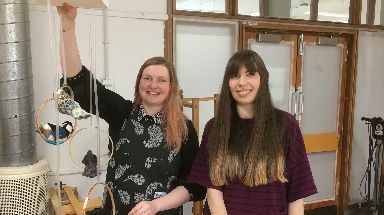 Sara Nevay and Lucy Robertson, postgraduate researchers at Duncan of Jordanstone College in Dundee, have pioneered the use of the fabrics - also known as e-textiles - to promote mental wellbeing and spark forgotten memories. E-textiles weave traditional materials such as tweed or quilting together with conductors, allowing electric currents to pass through them. In a series of workshops, Sara and Lucy have given people across Scotland the opportunity to use these fabrics to create soft toys and games which light up or play familiar sounds. As well as the social aspect of the workshops, the pair say the electronic elements allow for more interactivity than traditional crafts. "Augmenting traditional materials with electronics can help encourage social interaction," said Sara. "It can help prompt memories, it can help tackle issues like loneliness and social isolation, and it can offer other, therapeutic sensory aspects. Different sounds can encourage relaxation or mindfulness, for example. "The workshops have been received really well. The objects can be quite surprising - it's really nice to see that moment of 'oh my gosh, that's what it does' on people's faces." Sara and Lucy have been recording individual responses before and upon completion of the task to establish how the crafting experience has affected a person's mood. They will present their findings at a major design conference in Rotterdam next month. Lucy said: "When you are researching it can become quite easy to stick to the route that you find yourself on, so it will be interesting to hear what our peers have to say about our studies. 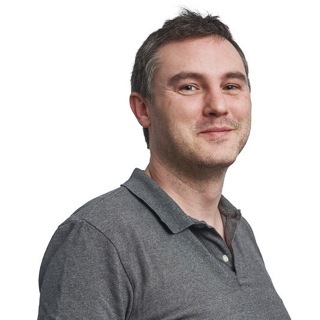 "The conference will give us a chance to visit other workshops and see what researchers and practitioners across Europe are doing, so it is an exciting opportunity for us."